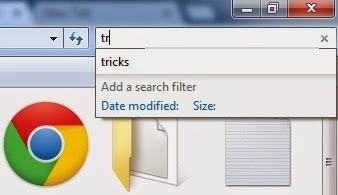 We all use Windows search feature to find out files on our system. Most of the time, we use this feature while using other person’s computer. Whenever we start typing the search keyword on the search box, it shows previous search keywords as suggestions. So if someone already searched for what you are looking for you, you can quickly get results. Sometimes this suggestion feature creates trouble. Suppose you have ever searched for Adult content. If any person types p in the search box, he will get adult content keyword as suggestion. It is a clear hint that someone already searched adult content on the system. Sometimes, these kind of situations can create trouble. So, you should know how to clear the file search history. This can be done via a simple registry hack. You will have to edit the registry keys from registry editors. Follow these simple steps to remove file search history. Step 1: Click on start, type regedit in search box and press enter. Step 4: Now, right click on WordWheelQuery and select Delete. Step 5: Now, exit the registry editor and restart your computer. After this, you will no longer see old search queries as suggestion. With this hack, we have removed all older searched keywords. This trick is life saviour. Share this with your friends to help them.